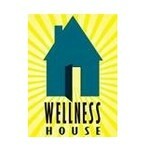 Wellness House hasn't added a story. A number of brave Edgers will have the opportunity to rappel down the Liberty Building, in exchange for donations back to Wellness House. Experience the once-in-a-lifetime opportunity to rappel down the Liberty Building! Wellness House was founded in 1988 as a FREE resource to help cancer patients find support, help and resources when faced with this devastating diagnosis. Over the years, the programs have expanded to include a broad spectrum of non-medical treatment programs and services for cancer patients, including counseling, the Wig & Hat Boutique, support for the patients and their families and access to post-surgical supplies. As the needs of this community have changed, Wellness House has responded by developing services for community members and their families facing additional life altering challenges, such as chronic illness, depression and grief. If Wellness House cannot provide direct support, our Client Navigator and Client Advocate connect the patient to our many resources throughout the community. In keeping with the wishes of our founder, Mazie Meade, services for all clients are provided at NO CHARGE to ensure that all of those in need of Wellness House have access, especially those who are already facing a financial burden from their medical care. Wellness House is managing the funds for this campaign.